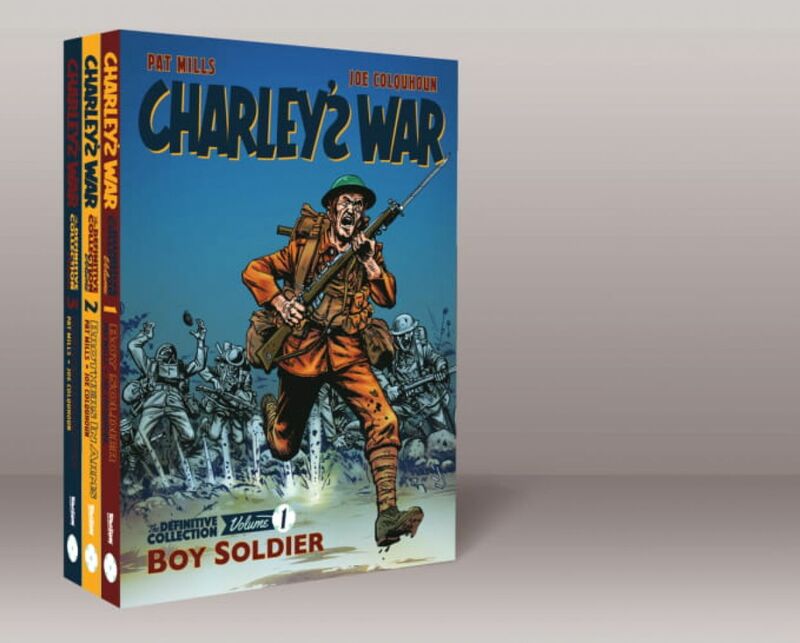 One of the all-time masterpieces of comics, get the three volumes of Pat Mills and Joe Colquhoun's definitive war comic - CHARLEY'S WAR - for under £40 as the world marks the centenary of Armistice Day. A chance to own one of the defining masterpieces of British comics at this most poignant moment in three beautiful volumes, with rescanned and remastered artwork – plus with original colour pages lovingly restored. Considered by many as the most important war story to appear in comics, Charley’s War follows working class lad Charley Bourne, who eagerly signs up to fight on the Western front in 1916. The idealistic sixteen-year-old experiences a hellish world of trench warfare where every day is a bitter fight for survival. Charley and his friends soon realise they have been thrust into a conflict where ordinary people are expected to throw away their lives to serve the selfish interests of those in power! Written by British comics legend Pat Mills and featuring the breath-taking artwork of Joe Colquhoun, this series redefined what comics were capable of and deserves its place on every reader's bookshelf.